**YOU WILL NEED POWERPOINT TO PLAY THE GAME! ** This is a fun NO PREP, NO PRINT unit that addresses new vocabulary related to marine animals in an exciting and engaging way. It is a great interactive lesson to allow your students to practice introductory inferencing skills, reasoning, describing, auditory comprehension, expressive language, vocabulary, comparing and contrasting. It is a gameplay activity that can be presented on speech teletherapy telepractice platforms that allow for uploading Powerpoints and computers, laptops, or tablets that are equipped with a PowerPoint application. 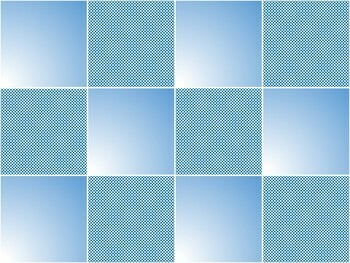 Students will be able to use the mouse to click on the squares (or for touchscreen devices click the squares directly on the screen) to slowly reveal the picture of an animal hiding underneath. The object of the game is to guess the sea animal in as few clicks as possible. The images of the animals are full-color, real pictures that are high definition and very detailed. This unit has a separate slide for each animal being presented. 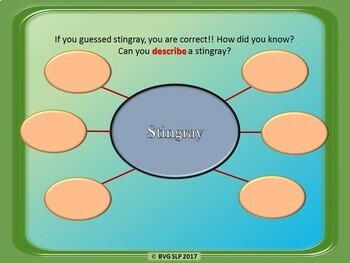 There is a graphic organizer for each animal for practice describing, you will receive a separate facts page for each animal with "Did You Know" facts, plus compare and contrast diagrams to continue the instruction. There is an abundance of language embedded in this unit as it introduces new vocabulary, following simple directions, auditory comprehension, and expressive language. This unit displays nicely on interactive whiteboards for whole group instruction and it's a fun way to get the entire class involved. If you want to use it in your small groups, it is also great for computers and laptops (equipped with PowerPoint). For remote language lessons, it works beautifully on speech teletherapy telepractice platforms that are able to support Powerpoint files. Please note that it is a PowerPoint show and can only be utilized using digital media with the PowerPoint software installed. 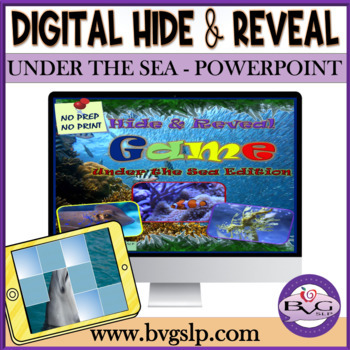 If you like this unit, you may also like my "Hide and Reveal - Wild Animals Edition", "Hide and Reveal - Things That Go", "Beginning and Ending Sounds", "Same or Different", "More or Less", "Rhyme Time", "Expanding Sentences", and "Can You Describe That" lessons which are all great accompaniments to continue teaching important foundation skills. Don't forget to rate and comment for credit towards your next purchase. Thank you for shopping with me and please stay tuned for more interactive games. To receive notifications on new products, sales, and promotions please click the green star to follow my store. Happy teaching!